Congratulations to jdizzle1000 for taking Week 11 of the 2018 War Blogle Pick ’em and winning a War Blogle sticker. Want any of that? Send me $3 and your address, or just win next week. But let’s be honest, it’s just easier to send three bucks. Remember that after 14, I will be giving out an Auburn Hover Helmet to the overall leader in the standings at that point. 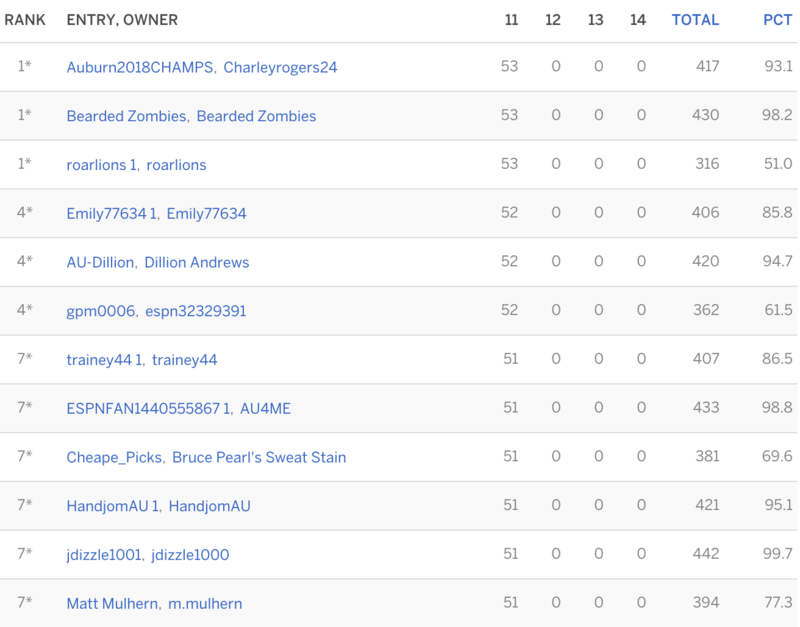 If you’re like me and don’t see your name, go check out the scoresheet (select Week 11).